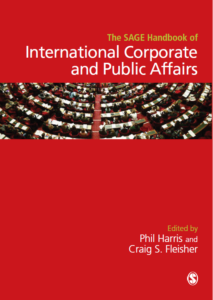 This new edition of The SAGE Handbook of International Corporate and Public Affairs builds on the success of the first edition (Handbook of Public Affairs, 2005) by comprehensively updating, extending and enhancing the content and structure, setting a new standard for the practitioner and student of the global corporate and public affairs disciplines. The new edition includes increased international coverage of the field, and a strong focus on emerging trends, as well as providing a comprehensive overview of the foundations and key aspects of the discipline. * and practitioner-supporting scholarship on Tactical Approaches to Executing PA. Containing contributions from thirty leading, global thought leading scholars in the field today, this Handbook will serve the needs of researchers, instructors, students and professionals alike.